Inadequate health literacy is prevalent among seniors and is associated with poor health outcomes. At hospital discharge, medications are frequently changed and patients are informed of these changes via their discharge instructions. Explore the association between health literacy and medication discrepancies 48 hours after hospital discharge and determine the causes of discharge medication discrepancies. Face-to-face surveys assessing health literacy at hospital discharge using the short form of the Test of Functional Health Literacy in Adults (sTOFHLA). We obtained the medication lists from the written discharge instructions. At 48 hrs post-discharge, we phoned subjects to assess their current medication regimen, any medication discrepancies, and the causes of the discrepancies. Two hundred and fifty-four community-dwelling seniors ≥70 years, admitted to acute medicine services for >24 hours at an urban hospital. Of 254 seniors [mean age 79.3 yrs, 53.1% female], 142 (56%) had a medication discrepancy between their discharge instructions and their actual home medication use 48 hrs after discharge. Subjects with inadequate and marginal health literacy were significantly more likely to have unintentional non-adherence—meaning the subject did not understand how to take the medication [inadequate health literacy 47.7% vs. marginal 31.8% vs. adequate 20.5% p = 0.002]. 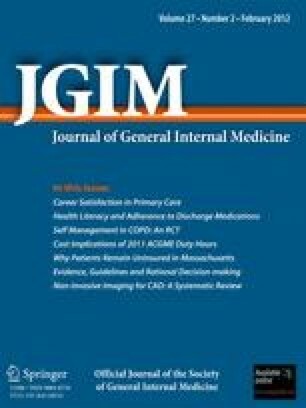 Conversely, those with adequate health literacy were significantly more likely to have intentional non-adherence—meaning the subject understood the instructions but chose not to follow them as a reason for the medications discrepancy compared with marginal and inadequate health literacy [adequate 73.3% vs. marginal 11.1% vs. inadequate 15.6%, p < 0.001]. Another common cause of discrepancies was inaccurate discharge instructions (39.3%). Seniors with adequate health literacy are more inclined to purposefully not adhere to their discharge instructions. Seniors with inadequate health literacy are more likely to err due to misunderstanding their discharge instructions. Together, these results may explain why previous studies have shown a lack of association between health literacy and overall medication discrepancies. Dr. Lindquist and this study were funded by a grant from the National Institute of Aging (K23AG028439-04). The contents of this publication are solely the responsibility of the authors and do not necessarily represent the official views of the National Institutes of Health. Preliminary data for this paper were presented as an abstract at the Society of General Internal Medicine 2010 National Meeting.